IMC has quickly become one of the largest independent commercial mortgage lenders in Canada, with over $3.6 billion of new commercial mortgage loans closed across all asset classes. Prior to forming IMC, the IMC team also originated more than 950 Canadian commercial mortgage loans for another major Canadian financial institution, totaling more than $8.5 billion. IMC applies its extensive commercial lending experience and underwriting discipline to every loan it makes, allowing it to offer loan terms tailored to its borrowers’ needs, expedited loan processing, creative problem solving, and certainty of execution. IMC’s credit record is unsurpassed. To the end of FY2018, there have been no credit losses on any IMC- originated commercial mortgage loans. 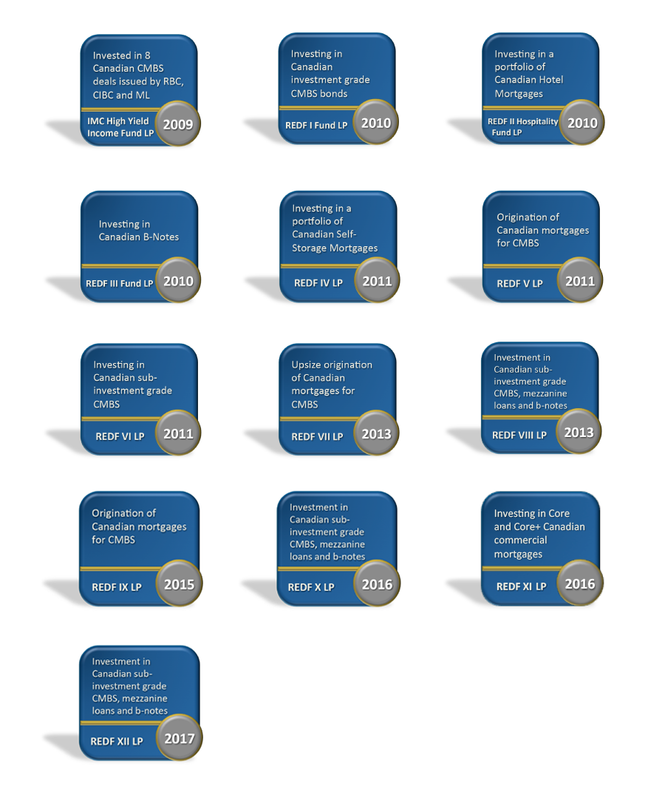 Since its inception, IMC has pioneered the rebirth of the Canadian CMBS industry and remains the leading player in the marketplace. IMC re-opened the Canadian CMBS market with its first transaction in 2011 – the first CMBS deal since 2007 – and has since brought 6 additional transactions to the market. 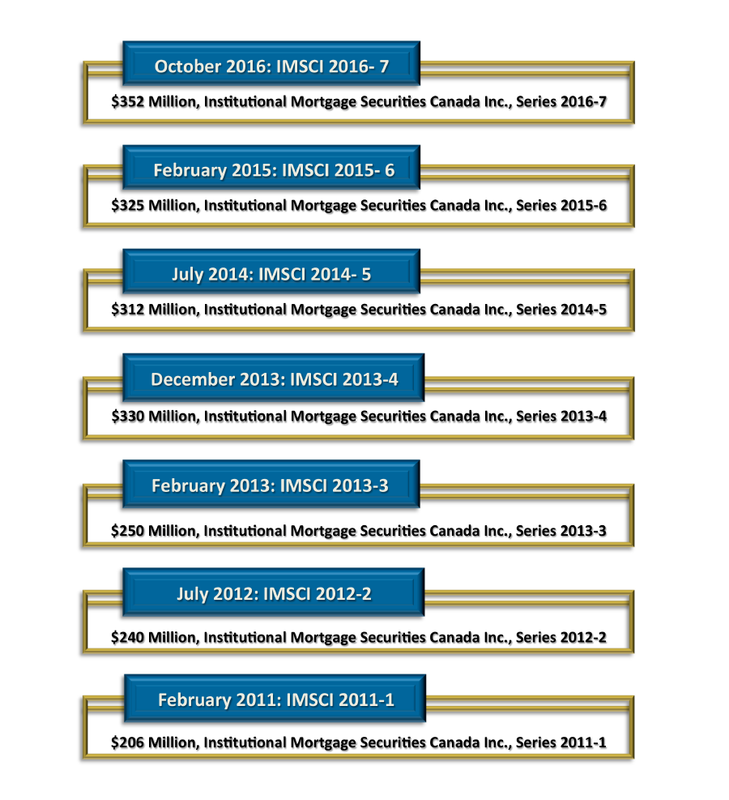 IMC has invested in Canadian CMBS bonds through 8 of its managed investment funds.